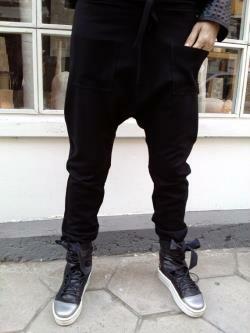 This gorgeous comfortable black loose drop crotch pants. Easy to wear and combining with every accessory and clothing. Anyway you will be noticeable. I can make the garment according to your size. 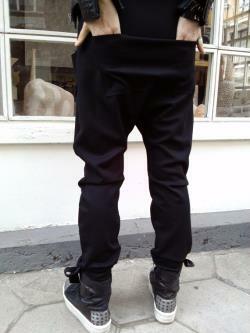 Size s 27"- 28" inseam 30. 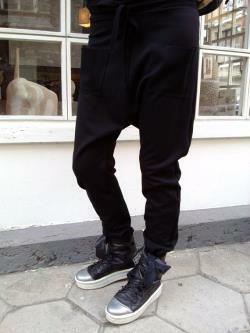 Size m 29" - 30" inseam 32. Size l 31" - 33" inseam 33. Size xl 34" - 36" inseam 34. Measure around natural waist with a measuring tape. Due to lower waist of the pants i'll add 2-3 inches to make the perfect fit. Use pants that fit well, measure from the crotch seam to the inside bottom. If you prefer different length of the model please inform me. I will be happy to answer all of them. Thank you for visiting my shop.